With the dark sky enveloping the camp, the firelight in the teepee reflects a dramatic, warm "Night Glow" in the barren landscape. 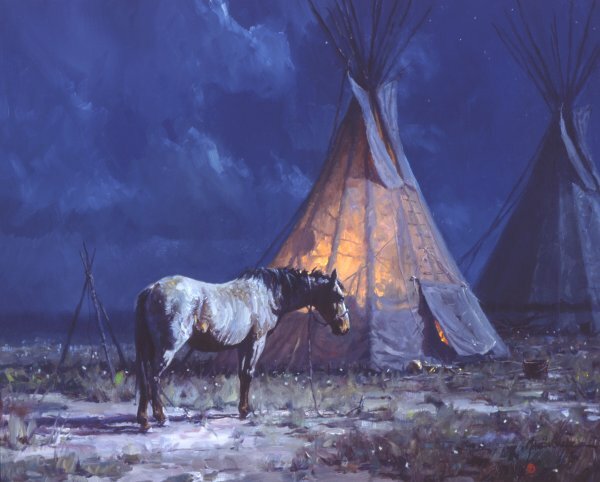 Perhaps all that will be heard by the tribe will be the distant call of a coyote or the haunting sound of an owl. Until morning returns, the camp will be a quiet refuge for the tribe.